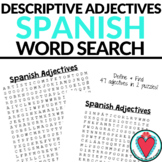 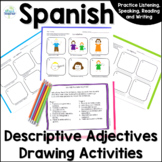 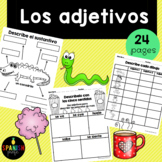 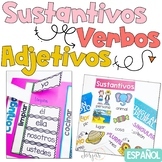 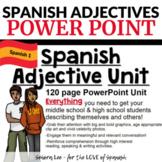 Los adjetivos en español (Adjectives in Spanish)You might also like: Parts of Speech Picture Cards (Verbos, adjetivos y sustantivos)This product is in Spanish (only). 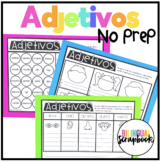 This product is for students in Kindergarten, first and second grade in Spanish immersion, bilingual and Spanish language classrooms. 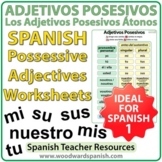 Two original poems in Spanish with many nouns and adjectives. 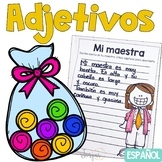 Students read poem and find nouns or adjectives then write two sentences with two nouns or two adjectives found in the poems. 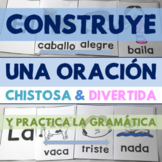 Construye una oración: Practica adjetivos, sustantivos, verbos, y más gramática!